Tower of Terror is my favorite ride of all time. I don’t want to see it go!! ??? I hope this comes to the Studios Park in Orlando as well! I have mixed feelings about this. 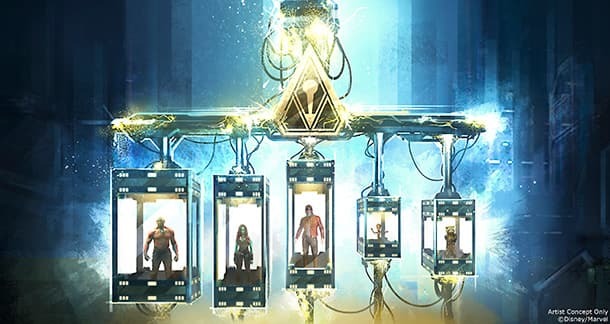 I love how Marvel portrayed Guardians of the Galaxy as a movie and how the ride sounds awesome. But as I have been a ToT fan for a very long time, it will be very saddening not just for me, but for other people as well. I know that lots of people are angry because they are loosing their version of the ride on the west coast, but look on the bright side guys. We still have versions of this ride in Florida, Tokyo, and Paris. Plus, we can’t make any claims that this ride will be worse than ToT. We will have to wait until we get to ride it for the first time to be sure. If Disney feels that they must change “Tower”… then make everyone happy. It would be awesome for everyone if they could find a way to change it back to “Tower ” for Halloween… Just like they do for Haunted Mansion. Best of both worlds a new attraction (with Guardians) and keep all the people that have been coming for years and love “Tower” happy. I am so excited about this change!! I LOVE the ride and I think that an overhaul is absolutely going to revitalize it (not to mention that I couldnt get my kids anywhere near the “haunted” hotel but now they will ride with me because we all love guardians!!) we were so lucky to be able to come during the 60th celebration and are hoping to come again next year, can’t wait to enjoy the new ride! I would love it if Hollywood land could otherwise remain the same and agree that a marvel themed land behind the hotel would be a fantastic idea!! As this has all been decided for a while now, is there any information on which route is most likely to be taken with that, Hollywood land changing or (hopefully) park expansion? Thank you and keep up all of the fantastic work and creative ideas that make the experience magical for us visitors!! We don’t know that for a fact. Besides, the business and theme park entertainment world has a changed a lot since Walt Disney was alive. Also, we have no idea what he would think of this particular decision. First of all, I am a huge fan of Disney parks. I go often enough that I usually appreciate the changes that are made. Most of them keep things fresh and exciting (Soarin’ around the World was seriously AMAZING!). However, this is one change that I think is a major mistake on Disney’s part. Tower of Terror is such a classic ride that people eagerly anticipate riding again. One of the most enjoyable parts of my Disney trips have been riding with someone who has never ridden it before. To take away Tower of Terror would be devastating. Please reconsider. P.S. Aren’t you all so glad you didn’t change Rock ‘n Roller coaster to a Hannah Montana themed ride? I’ve wondered how relevant the Twilight Zone theme of ToT was to younger guests. I think this will be a much more engaging for them. I also love the idea of including in the ride the great music from the mix tapes that Star Lord brought from Earth. Just…sadness. Wonder if we can change our reservations to DW? I will miss ToT but it is great to have something unique at DCA. 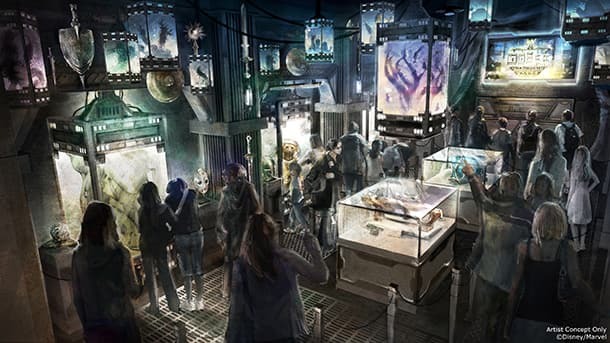 Will the artifact “collection” be props from the movie or created especially for the attraction’s queue? Will this be an e-ticket like ToT. Joe and the imagineers, you have a great idea and concept to go along with the original ToT ride system? Also, will this be the beginning of a Marvel themed land at DCA? Im a big fan Of TOT, something unique and different from the other Theme Parks. will the red car trolley s still run? 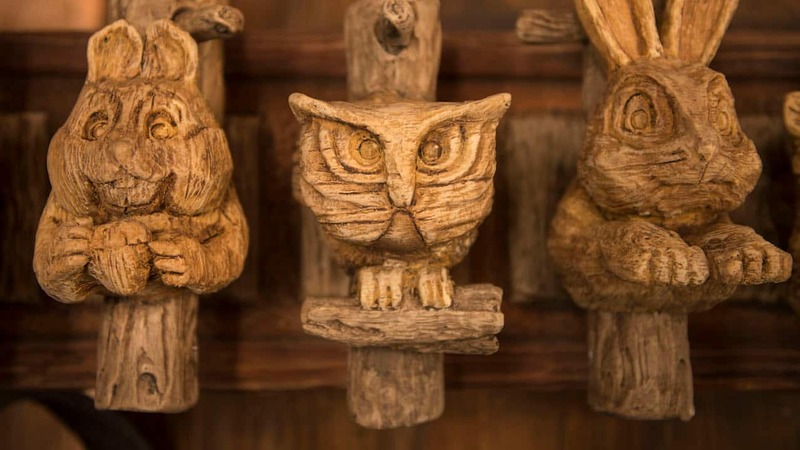 So, what part of the Guardians of the Galaxy has anything to do with California!? The Hollywood Tower was one of the rides my family and I looked forward to going on. Its classic Hollywood, which is in California. I know its just a ride, but come on…where does it stop. Just make the entire park super hero themed and get it over with. I’m very happy about this. Disney has a unique opportunity in Anaheim to incorporate the Marvel characters in the Southern California Disney parks because a few years back, Universal Hollywood let their license lapse for the exclusive theme park use of Marvel. Universal Orlando still holds on to those rights for Florida, so the original, and still the best, Tower of Terror at DHS will not be changing. I was always disappointed at the clone version of TOT for DCA. I felt it compromised too many of the aspects that made the Florida original so special. Plus, the California TOT was originally the concept developed for Disney Studios Paris theme park, and was hastily duplicated for Anaheim in DCA’s second year of existence, as an attempt to jump start the tepid public response to the somewhat lackluster early DCA. With the attention paid in to it in subsequent years, DCA sure has come a long way to being a strong park in its own right, but many parts of original or early DCA still need work. Our Tower of Terror debuted as a pale version of the Florida original, and it has never once received a refresh of it’s drop sequence or visual effects while WDW’s original was constantly “plussed” in the years since it opened. 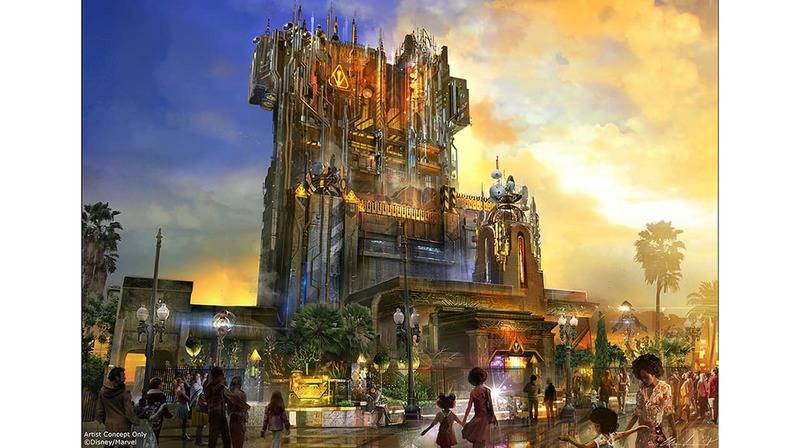 No doubt, this Guardians of the Galaxy remake of the former DCA Tower of Terror will be first rate. All new state of the art sets, themeing, special effects and ride system programming, wrapped around a whole new storyline that is completely new and unique to any Disney park anywhere in the world. No longer will this attraction beg comparisons to the Florida original. Now it will be the one and only California original! I think that’s really great! Joe Rohde is my favorite Imagineer. He is awesome. I can relate because of how passionate he is about everything he does and the way he does it. To the guest who asked if we can get a Howard The Duck animatronic…you are awesome. I like the Guardians–but I LOVE Old Hollywood, and really enjoy the Hollywoodland theming in DCA. I’m sorry we have to lose one to gain the other. Bravo To Disney for doing this! Hopefully this is a start for making a marvel themed land in that dead corner in DCA! By the next D23 2017 that land might be announced and this might just be the start! Now will the marvel land behind the tower or in the current Hollywood Land! This is great, as long as we get to keep our Tower of Terror in Disney World. One of my top 10 rides. I know not everyone is happy about the announcement, but I am excited about the change. Walt said the (Disneyland) park would never be complete, and this carries that credo forward. Granted, it’s the same ride essentially, but it will add a whole new element to it to make it a brand new experience. I think this is a smart and quick way of starting to create a Marvel themed area, which I suspected was going to happen when Captain America and Spider-Man started making appearances at DCA. If the licensing is running out, then you know we’ll soon see the change at Disney’s Hollywood Studios. Having enjoyed both of these attractions, I can see possibilities for an even more immersive experience in Florida. Tower of Terror has been one of my favorite rides, but I’m also thrilled that we’ll be seeing Marvel’s properties introduced. I’m alao thinking this means more will be shared at Disney Expo next year. It would be perfect timing…. Universal Studios owns nearly all the theme park rights to Marvel East of the Mississippi so it depends on if GotG is owned by them or not. As for TaT while I hate to see it go it really isn’t part of Hollywood it is more on a dead end ally behind Hollywood. I would mark a good entrance to a marvel expansion onto the Pumba lot behind it though and finally complete the park loop. Looks to me like tower will stay and the story will just be different. My only concern is the future of the Red car trolleys and Hollywoodland in general. If more Marvel theme rides are built via expansion, great! But PLEEEASE do not remake Hollywoodland! DCA needs to have its own version of Main Street and somewhere for the Red trolley to run. Thanks. It sounds like the ride system will stay the same or at least similar, and just the story and theming are changing…is this correct? Well, it’s a totally different use of the same core thrill. Guardians of the Galaxy – Mission: BREAKOUT! is an all-new attraction with the same thrilling drops that everybody loves, but it will have all new creative storylines, as well as multiple, unique ride experiences set to music inspired by the film’s popular soundtrack. This is certainty an interesting idea. Seems a shame to change Tower of Terror, but am always open to new things, and I think it will be fun to have a new experience. I’m looking forward to hearing more about this. Perhaps this is just a precursor to a Marvel-themed area for the park. And are the Red Trolleys going to be rethemed too, now that they go from Buena Vista Street to the Collector’s galactic base? I suppose if the Hollywood area is viewed as a “Studio” and not Old Hollywood they can slip a sci-fi film set in without throwing the theme of the area off…I mean a trolley passing on front of a building on Knowhere seemed kinda stupid when I first heard this….just have to remember it isn’t a new land…was never a big fan of the twilight zone story …so I’m looking forward to the change…Gamora and Rocket…what’s not to love!! I like it. I know folks are sad to see the current theme go, but with the Twilight Zone licensing ending, the options were keep it a generic hotel (or find some thin connection to a hotel and Disney) or come up with a whole new experience. I happen to love Guardians, so I’m good with the change, and this looks so much more dynamic, while retaining the awesome thrill at the end. When will Tower of Terror close at California Adventure? The attraction is expected to close in early 2017. We’ll be sharing opportunities for our guests to celebrate the Twilight Zone Tower of Terror over the next several months. When will Tower of Terror close? We’re torn in my house. We can’t tell if this is expected to be temporary or a permanent overhaul. What is the expectation? It’s a change for sure. Guardians of the Galaxy – Mission: BREAKOUT! is not a temporary overlay. Way more new stuff. I am ok with this. Tower at Disney Land never really was what Tower is at Disney World. Just the fact that the announcement was made by Joe Rohde in the video, is actually a great assurance of quality for me. I really do hope this ride ends up being awesome because it will hopefully be the start of bringing the Marvel Universe home to Disney!!! Kinda really exited about this!!! As a long time comic book enthusiast, I have to ask. Will this be coming to Walt Disney world in Orlando in the future? Please tell me Tower of Terror is staying put in Florida at least. We’ve got a family trip planned in summer of 2018 and I want to let them see the differences between the DCA and DHS versions of the attraction. I’m sure the ride will be great but ToT was perfectly themed for CA Adventure. Not sure what Guardians has to do with Hollywood. Make a Marvel expansion land and leave the already-great rides alone. They did not say how long it will be closed for this transformation. That is really my biggest fear, as this is my very most favorite ride. I am excited at the idea of changes to the ride experience itself. Not knowing what song is going to play or when you will rise and drop each time will bring a renewed excitement to the ride. Twilight Zone Tower of Terror is expected to close in early 2017 and Guardians of the Galaxy – Mission: BREAKOUT! will open in summer 2017. Looks like this will be a fun attraction but really wish we did not have to lose Tower of Terror. Now, more than ever, I am considering just having a Disney World Annual pass and not Disneyland. This looks good. Can’t wait to ride it! And, Disney, you will continue to have me as an Annual Passholder because of it. Will this be permanent? ? Will this also happen in Flordia?